I did not realize that: 'have a web.config in a separate class library and' was reading the web.config app setting from different web application. Is the code you posted above using a separate class library to your main asp.net library? 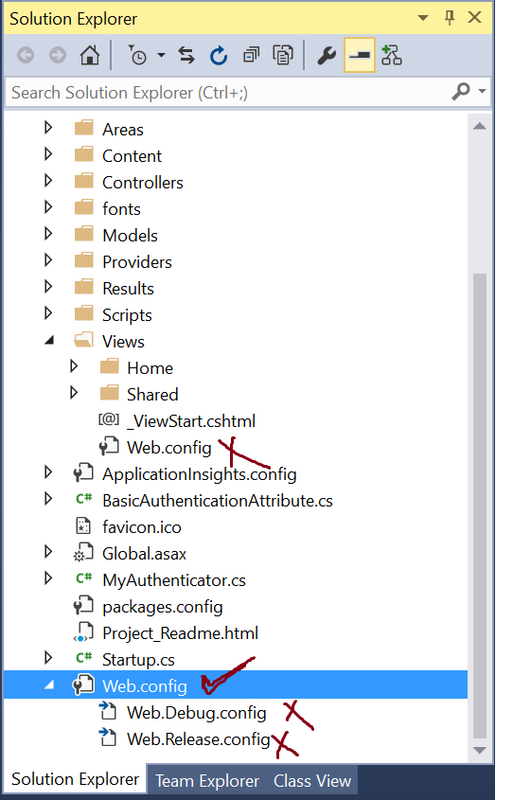 If you are and you have added an app.config to this library with the settings posted above then the ConfigurationManager is not reading the right file as this will look to the web.config file for your asp.net library. The usual cause for this is due to context. 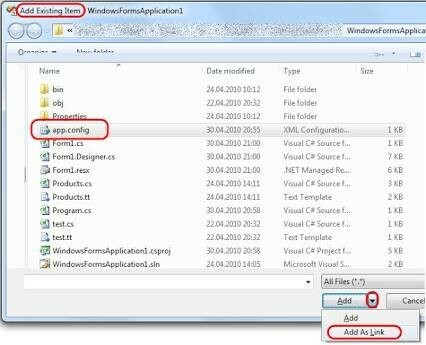 Say you have a solution with a VSTO add-in project and a class library project, if the App.Config is in the class library it wont work as the context of the running application is the VSTO add-in project. To read values from the config you'll need to move the config file to the project with context. If your not familar with VSTO pretend I wrote ASP.Net project instead and app.config to web.config. 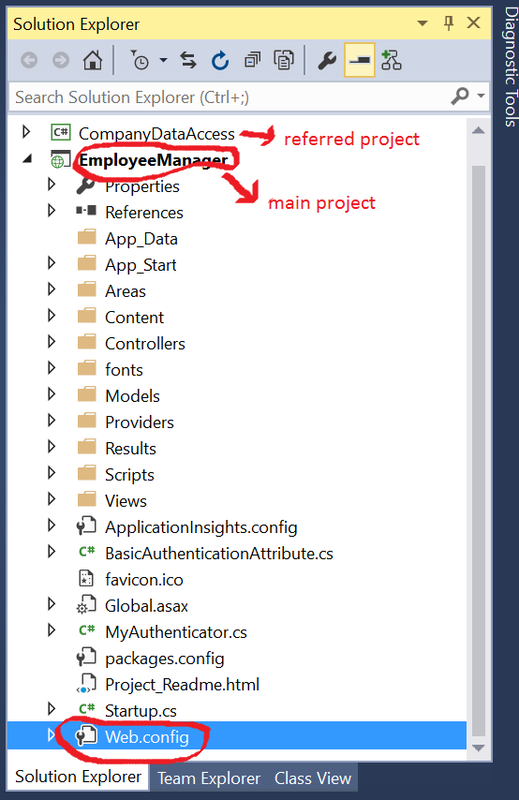 is located in the web.config file of your ASP.NET application and not in some app.config file you've added to your class library project in Visual Studio, right? You can't be possibly getting null if this is the case. If you've added this to an app.config of you class library project in Visual Studio then getting null is perfectly normal behavior. Disclaimer ;) This post is not to answer OP as it is too late but definitely it would help the readers who end up to this page. Problem I faced : ConfigurationManager.AppSettings["uName"] returning null in my C# web api project. Checked that I haven't mis typed as userName instead of uName etc. 2) Since it is a Web API project it would have a file as web.config instead of app.config , and that too in root folder of your project. [refer the image]. in the right file ie. I just got answer DLL are called from another project not in the project where there are create.so entries in App.config should b move to calling project config file. App settings are loaded into ConfigurationManager.AppSettings, but User settings (in Properties settings in your project properties) are not. This happened to me when I was testing a Class Library (.dll). They were both in the same project but the App.config for the library had the settings I needed. The App I had written to test needed the settings because it was running the library. I got this problem as I copied a project from the file explorer and renamed the project. This copied the Debug folder and as I didn't have it set to 'Copy if newer' it didn't overwrite the old App.config file. Just delete the Debug folder and rebuild. Hope that helps someone. If that's your whole config file, you are missing the <configuration> element. Not the answer you're looking for? Browse other questions tagged c# asp.net web-config or ask your own question. How to keep multiple connectionString passwords safe, separate, and easy to deploy? What's the cause of this FatalExecutionEngineError in .NET 4.5 beta?